Kneel in front of the machine, placing your hands on the plate shoulder width apart with fingers facing forward. With a straight back and strong abdomen, push off of the plate. 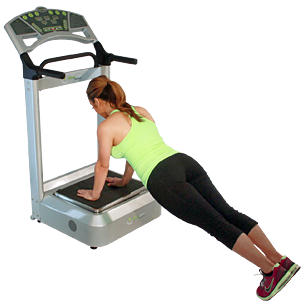 For an advanced position with increased intensity straighten legs to a plank position. This exercise works your chest, shoulder muscles and triceps.